Francesca Wade reviews Impressionists in London at Tate Britain, on view through May 7, 2018. 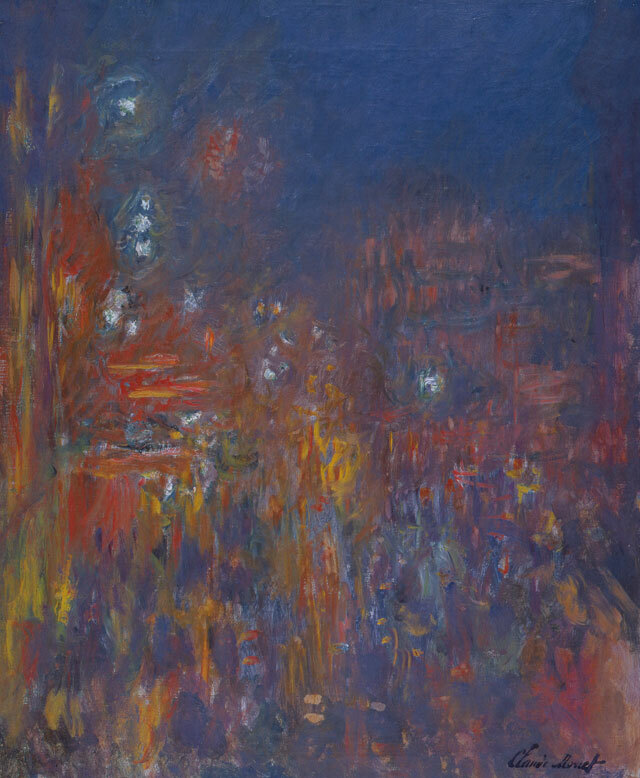 Wade writes: "In 1904, 37 of [Claude Monet's] pictures – splendidly evocative hazes of red and blue – were shown in Paris in an exhibition called Views of the Thames. Eight of these works form the centrepiece of this Tate exhibition, lighting up the night-blue walls of the penultimate gallery with their blurry theatricality. They are the highlight of a collection built around them, and the clearest embodiment of the show’s title."